Whoever captures Libya’s Muammar Gaddafi, dead or alive, will receive $1.6 million as a bounty, said a Benghazi businessman, while the rebels’ provisional council is offering an amnesty as reward. ­The Libyan rebel council, supporting a move by an unnamed Benghazi businessman, has offered an amnesty to any of Muammar Gaddafi's confidants or staff who kill or capture him. "The National Transitional Council announces that any of his inner circle who kill or capture Gaddafi will be give an amnesty or pardon for any crime he has committed," said council chairman Mustafa Abdel Jalil as cited by Reuters. However, author and journalist Afshin Rattansi believes that the idea of individualizing the conflict in Libya is absurd. 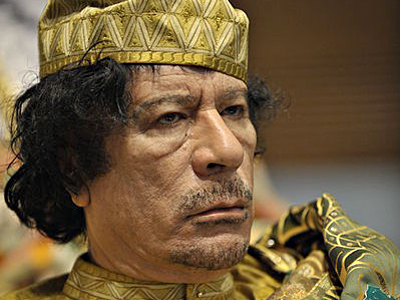 “It’s not about Gaddafi. 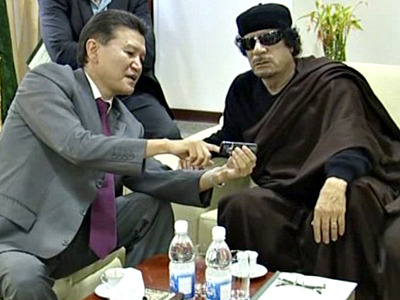 Gaddafi idiotically embraces neo-liberalism, literally embraced Tony Blair. I think lots of leaders around the world say ‘Don’t embrace Tony Blair!’” said Rattansi. “The idea of individualizing this conflict is like saying that the assassination of Archduke Ferdinand catalyzed World War One,” he noted. The Pentagon believes Gaddafi is still in Libya, while the rebels’ National Transitional Council says the colonel might be in the besieged capital of Tripoli. 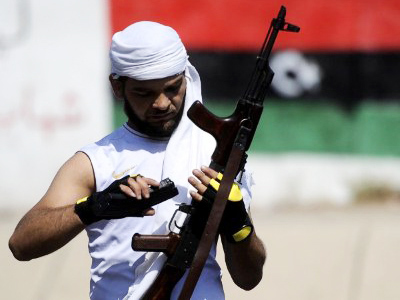 Nevertheless, the rebels who on Tuesday seized the colonel’s compound in Tripoli have not found him there. 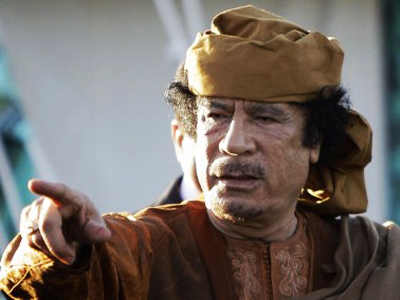 Overnight, Gaddafi aired a second address to the nation within 24 hours, vowing to fight until victory or martyrdom. 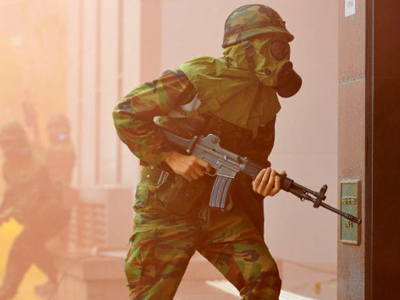 He added that his retreat from the compound was a “tactical” move.